What: A local society, affiliated to the Royal Horticultural Society, for people interested in all aspects of gardening. Whether you have a tiny garden with a few pots or an extensive garden with a vegetable plot, fruit trees, herbaceous borders and immaculate lawns we can provide something of interest for you. Usually we have a guest speaker and the talks are always advertised in GPN. We have a break for tea and coffee and a raffle. This year we have had talks on ‘Gardening on patios and small spaces’,’ Power, Faith, Politics and Ambition, what Elizabethan gardens reveal’ and ‘The Gardens of Kyoto’. Sometimes we organise a quiz or Gardeners’ Question Time or something similar. Members are encouraged to donate spare plants to a ‘bring and buy sale’ each month. Newsletters include topical information about local events, open gardens, trips being run by other local garden societies and so on. During the summer we focus on our gardens and we organise trips to well known gardens and College gardens and share outings with other local Garden Societies. This year we visited the RHS garden at Hyde Hall, near Chelmsford and also Clare College Gardens. As we are affiliated to the RHS, entry to an RHS garden is free for members. Plant Sale: This is fast becoming an annual event again. It is held on the first Saturday of the early May Bank holiday weekend at 46, Cambridge Road and provides an opportunity for village residents to buy some bargain plants that have been raised and donated by society members. We have a stall each year at the Family Fun Day at Girton Feast Week where we sell pots and hanging baskets donated by our members and also host a mini show competition with the Girton Allotment Society. Details are always available in the Feast Week Programme and the GPN. These activities help to subsidise the low annual subscription. 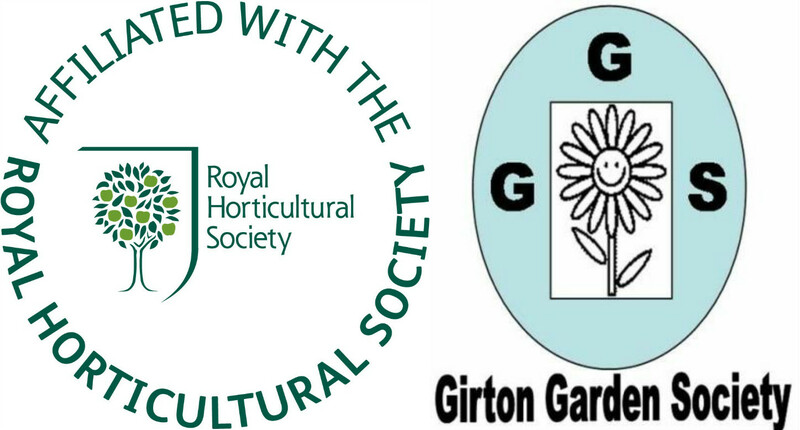 The committee can be contacted at girtongardensociety@outlook.com Chair Kay Green, Secretary Corinna Tabor and Treasurer Chris Pittock.